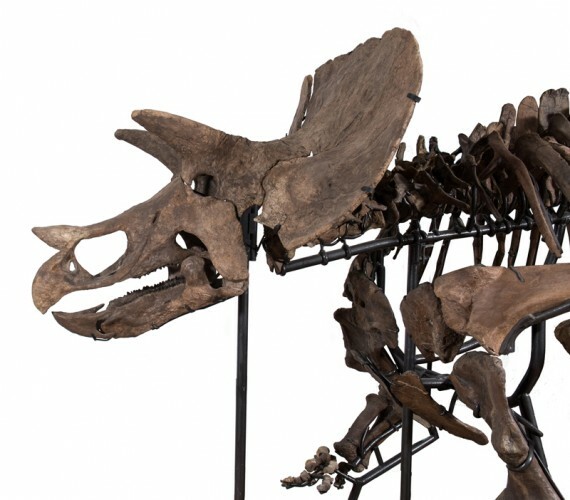 TE-037, nicknamed “Jordan” after the small town in Montana in which the material was recovered, is an exhibition-ready composite skeleton of the classic Late Cretaceous Ceratopsian Triceratops prorsus. 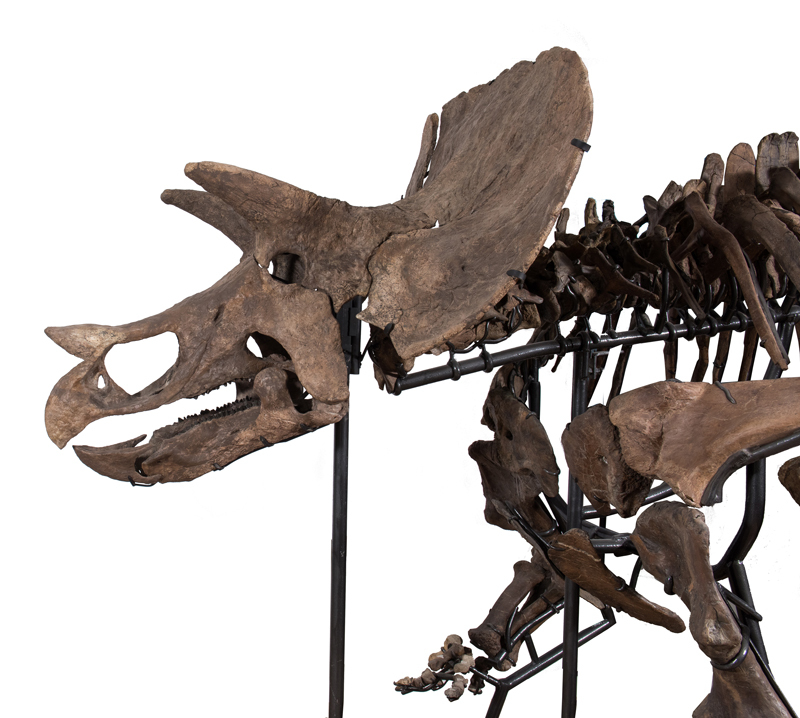 This contemporary of Tyrannosaurus rex is one of the most recognizable of all the dinosaur genera and probably the best described of the ceratopsians. 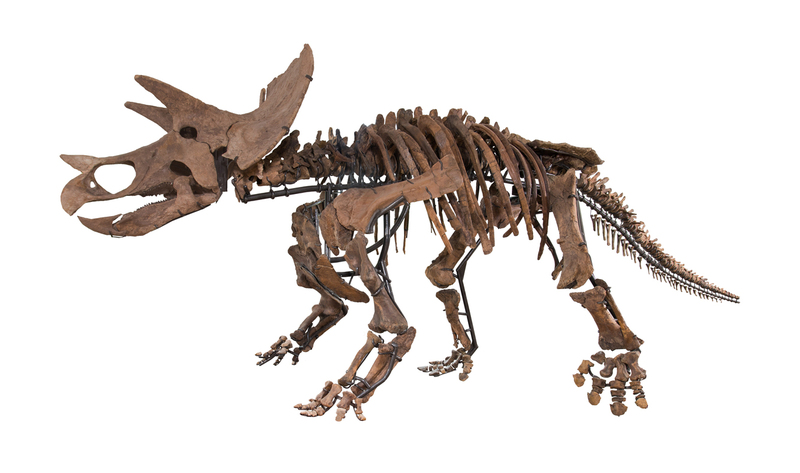 This formidable herbivore is well represented by TE-037, with a nearly 72% complete skeleton and a 75% complete skull. Naturally posed on a custom steel armature, TE-037 wonderfully captures the iconic character of this horned giant. Specimen is fully prepared and ready for display or exhibition. Material composited to complete TE-037 dates to the Maastrichtian age of the Late Cretaceous epoch, roughly 72 – 65.5 million-years ago. Triceratops prorsus was among the last of the dinosaurs extant at the time of the extinction event which abruptly ended the Cretaceous. 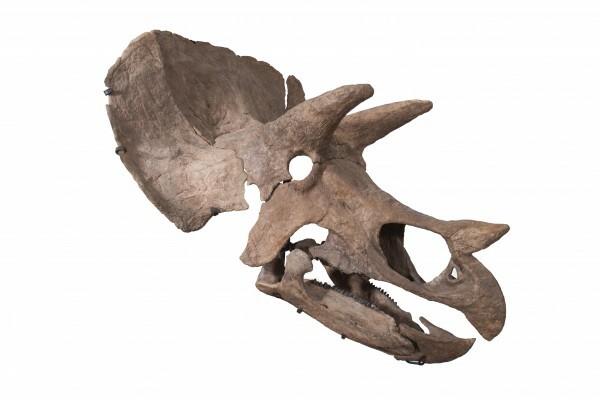 TE-037 contains Triceratops prorsus fossils recovered from four partial skeletal sites sites discovered on private ranches deep in the heart of the prolific Hell Creek Formation. 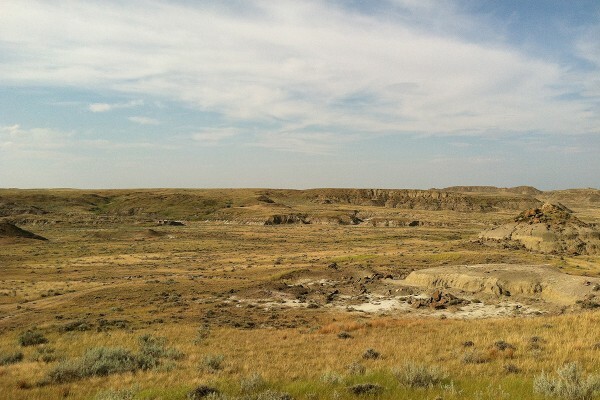 This locality has produced some of the most notable examples of Late Cretaceous fauna including T. prorsus. 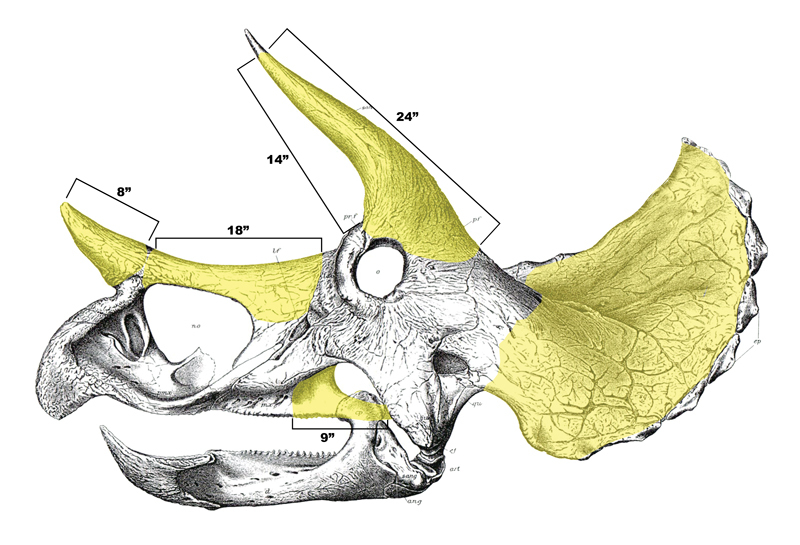 TE-037 is composited using the partial skeletons of four adult Triceratops prorsus specimens recovered in northeastern Montana in 2012. All four sites were situated within a few miles of one another and therefore possess a common geology, largely clay/ mudstone, which is generally indicative of a slow moving aqueous environment. 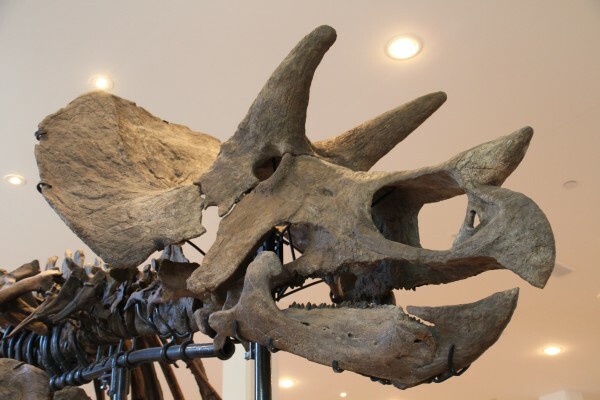 The comparable sizes and the similar conditions of preservation provide a semblance of continuity between the individuals into a single composite skeleton. 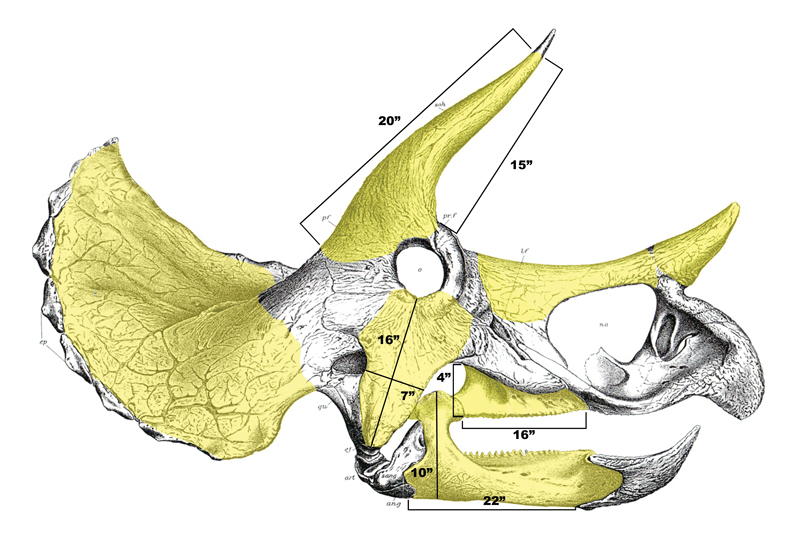 The skull was collected at a single site and belonged to a single individual, which nicely blends with the post-cranial elements to complete the mount. Absent bones are replaced with high quality replica. All fossils recovered have been fully prepared and stabilized for mounting. 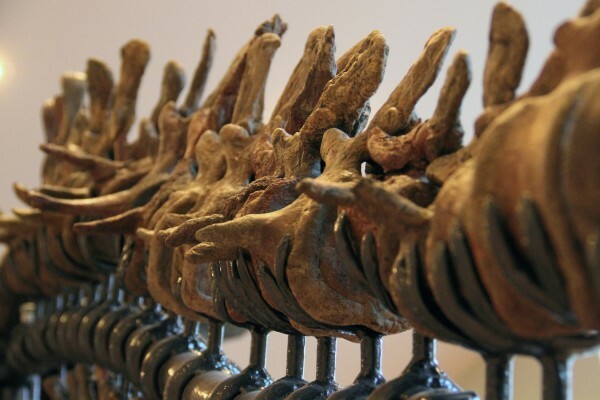 Bones are of a very good quality overall, exhibiting beautiful detail, solid outer surfaces, and a natural dark brown patina common in fossils recovered from iron rich geological formations such as the Hell Creek Formation.